$1 Excellent, Action-Packed & Thought-Provoking Sci-Fi Thriller Deal! Excellent $1 Sci-Fi Thriller Deal! 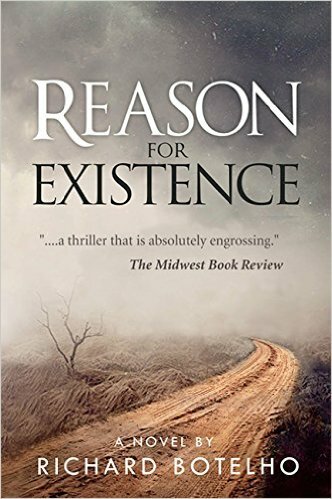 *Reason for Existence (Deal, Not Free) by Richard Botelho. Price: $0.99. Genre: Science Fiction Thriller Deal of the Day, Sponsor, Metaphysical & Visionary, Science Fiction. Rated: 4.6 stars on 41 Reviews. 200 pages. ASIN: B017KRJ66E. Reviewers love it: This is a beautiful blend of philosophy, spirituality, romance and action in the backdrop of science fiction. It made me to sit down and think! It is easy to read and deep at the same time. I was so captivated by it! A lot of thought went into this book. I would highly recommend it as a must read! *A Military Thriller: MAC WALKER’S AMERICAN JIHAD: An action-packed terrorist assassin military thrillers series (Deal, Not Free) by D.W. Ulsterman. Price: $0.99. Genre: Prepper Deal of the Day, Sponsor, Prepper, Assassinations, Suspense. Rated: 4.4 stars on 17 Reviews. 182 pages. ASIN: B00TXN1EPU. Reviewers love it: Hard hitting, with fast paced action! What a fantastic read! The story line is fun and intense! The main character is impossibly charming and resilient! A favorite thriller which I liked! It is heavy on action and light on politics, which makes it a fun read! Five stars! *Operation Chaos by Himanshu Rasam. Price: Free. Genre: Action Thriller, Historical, Military. Rated: 4.8 stars on 8 Reviews. 272 pages. ASIN: B01238G2NK. Scarred by Vengeance (Titanium Book 2) by Valia Lind. Price: Free. Genre: YA Thriller, Romantic, Science Fiction. Rated: 4.5 stars on 6 Reviews. 461 pages. ASIN: B00V4UWAEO. Excellent $1 Action Packed Military Thriller + Prepper Thriller Deal! Excellent $1 Military Thriller Deal! *A Military Thriller: MAC WALKER’S AMERICAN JIHAD: An action-packed terrorist assassin military thrillers series (Deal, Not Free) by D.W. Ulsterman. Price: $0.99. Genre: Military Thriller Deal of the Day, Sponsor, Prepper Thriller, Assassinations, Suspense. Rated: 4.4 stars on 17 Reviews. 182 pages. ASIN: B00TXN1EPU. Reviewers love it: Hard hitting, with fast paced action! What a fantastic read! The story line is fun and intense! The main character is impossibly charming and resilient! A favorite thriller which I liked! It is heavy on action and light on politics, which makes it a fun read! Five stars! 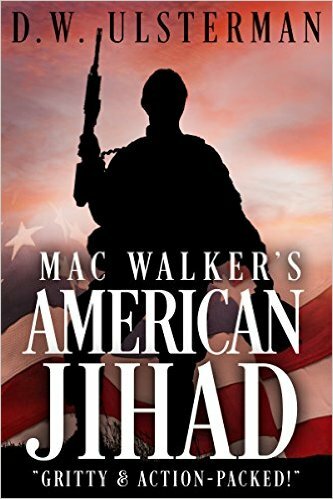 *A Military Thriller: MAC WALKER’S AMERICAN JIHAD: An action-packed terrorist assassin military thrillers series (Deal, Not Free) by D.W. Ulsterman. Price: $0.99. Genre: Military Thriller Deal, Sponsor, Assassinations, Suspense. Rated: 4.4 stars on 17 Reviews. 182 pages. ASIN: B00TXN1EPU. Reviewers love it: Hard hitting, with fast paced action! What a fantastic read! The story line is fun and intense! The main character is impossibly charming and resilient! A favorite thriller which I liked! It is heavy on action and light on politics, which makes it a fun read! Five stars! **Black Machetes (Short-list finalist of prestigious 2015 Eric Hoffer Award) (Deal, Not Free) by Ryan K. Howard. Price: $0.99. Genre: Psychological Thriller Deal, Sponsor, Eric Hoffer Award Finalist, Psychological Suspense, Horror, Coming of Age Thriller. Rated: 4.6 stars on 62 Reviews. 410 pages. ASIN: B00KJWTJ1A. Reviewers love it: This is one of the most original and engaging novels I have read in a while! At first, it is terrifying, but as the story progresses, the brilliance of the writer shines through. Black Machete’s story is incredible! A roller-coaster of a read that will make you laugh, cry, cringe and everything in between! This needs to be a movie! *Black Gum by J David Osborne. Price: Free. Genre: Crime Thriller, Literature & Fiction, Crime Fiction. Rated: 4.7 stars on 35 Reviews. 120 pages. ASIN: B00V3Y6PPQ. *Into Jackson by Jaxon M King. Price: Free. Genre: Dystopian Thriller, Suspense. Rated: 5 stars on 15 Reviews. 386 pages. ASIN: B015LF7IKS. ***Jackpot (Frank Renzi Book 4) by Susan Fleet. Price: Free. Genre: Mystery, Sponsor, Crime Fiction, Police Procedurals, Murder, Serial Killers, Series. Rated: 4.4 stars on 227 Reviews. 283 pages. ASIN: B00FCCO4EE. Reviewers love it: Yet another masterpiece! A serial killer is on the loose, murdering lottery winners. Murder, malice and a fish named Judy come together in this riveting novel! I am so glad that I gave this book a chance! I was pleasantly surprised and I thoroughly enjoyed it! Hats off to Susan Fleet – this is the best one yet! *Society for Supper by TyCobbsTeeth (1967). Price: Free. Genre: Suspense, Thriller. Rated: 4.7 stars on 15 Reviews. 308 pages. ASIN: B00TUJLH1I. *Living After Midnight by Wes Ritner. Price: Free. Genre: Crime Thriller, General Humor, Crime Fiction. Rated: 4.4 stars on 8 Reviews. 316 pages. ASIN: B00ZXHMNWI.